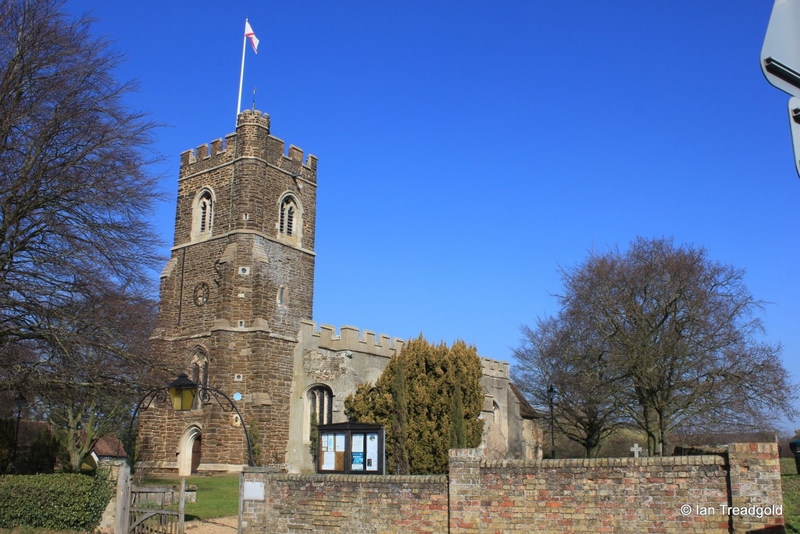 The church of St Mary the Virgin is situated in the middle of the village on Church Road, the main east-west road through the village. Parking is limited around the church itself. 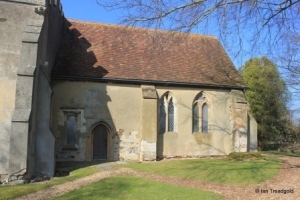 The church consists of a nave, chancel, two aisles, west tower and south porch with a north vestry. 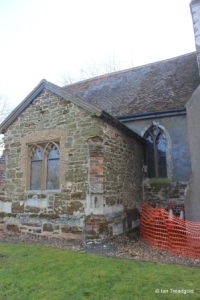 The chancel is around 32 feet by 17 with the nave adding 56 feet. The two aisles are 7 feet wide and the tower is 11 feet square rising to some 67 feet. The nave, chancel and aisles date from C14 with the west tower being added in C15. 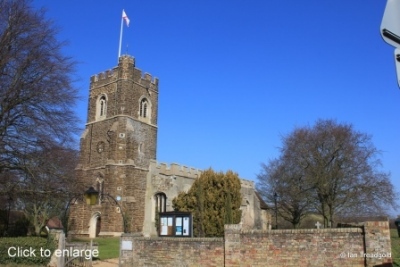 The church is predominantly built from rendered clunch with tower being of ironstone. 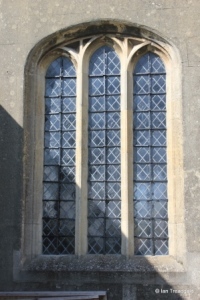 The south aisle has three windows in C16 style, two to the east of the porch and one to the west. 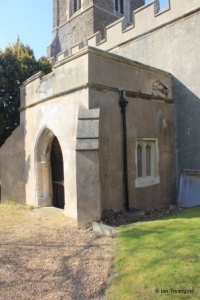 The south porch is plain with diagonal buttresses and an east window of two trefoiled lights under a square head. The doorway is under a two centred arch with columns in the arch. 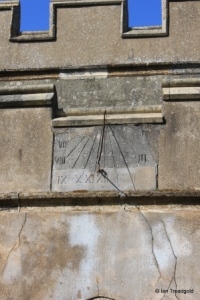 Above, on the parapet is a sundial mentioned in records dating back to at least 1686. The west window of the south aisle matches the two other three light windows of the aisle. 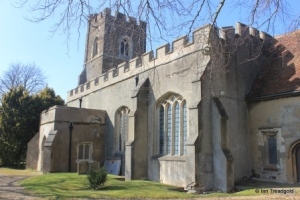 The aisles and tower are embattled whilst the chancel has a tiled roof. 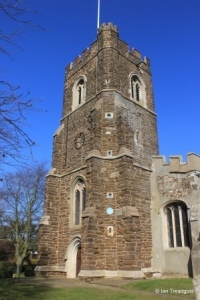 The ironstone tower is of three orders with angle buttresses with those on the south-west corner being positioned to allow for the internal stair turret in that corner. 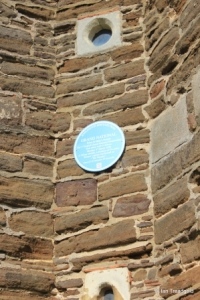 On the stair turret is a blue plaque celebrating the first English National Steeplechase which took place on 8th March 1830 from the church to the obelisk in Wrest Park, a distance of 4¼ miles. 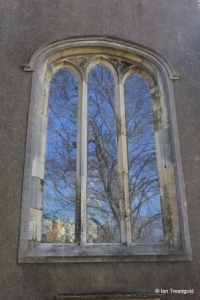 The belfry openings are two-light trefoiled openings under two-centred arches with quatrefoil designs in the head. 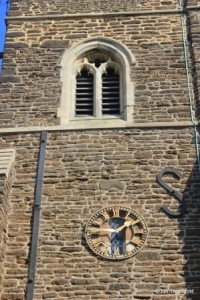 The clock on the west face Is mounted on a small window slightly offset of centre. 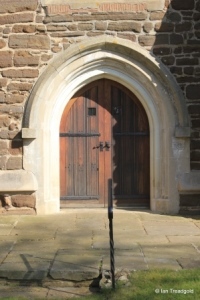 The west door is under a wide two-centred arch giving it a slightly squat appearance. 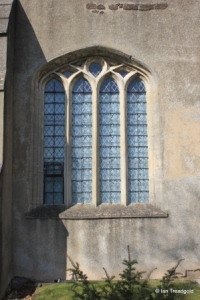 The west window above is of two trefoiled lights with a blocked quatrefoil design in the head under a two-centred arch. 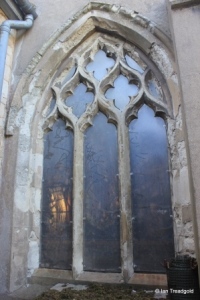 The north aisle windows are similar to those on the south although the fabric is showing more signs of age. 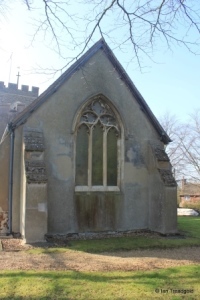 The buttresses date from the C19 restorations and are in need of re-rendering or replacing as has happened with the western buttress. 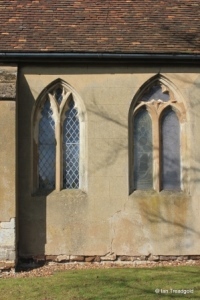 There are three windows in the north aisle to match those on the south along with the north doorway. The western pair are of three lights whilst the eastern if of four. The east window of the aisle dates from C14 and is of three trefoiled lights with quatrefoil tracery above under a pointed arch. 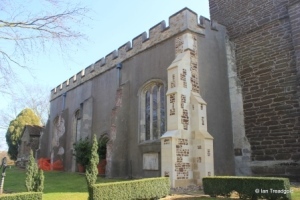 The C16 vestry against the north side of the chancel partially obscures the two windows on the north side. 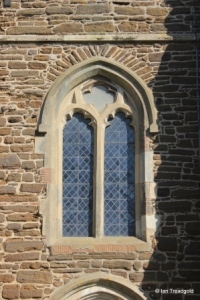 The western window is of two elongated cinquefoiled lights under a pointed arch. 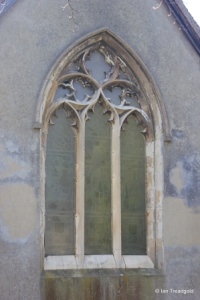 The eastern window is of two uncusped lights with a wide trefoil design above. 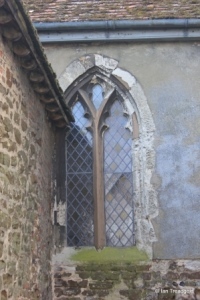 The vestry has a single square headed window to the north although there are signs of a now blocked window to the east side. 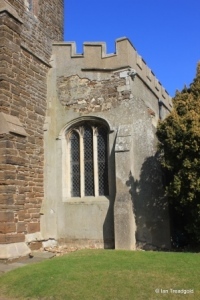 The east window is of three cinquefoiled lights with flowing tracery under a two-centred arch and dates from around 1350. The centre light is under an ogee arch and there are trefoil and quatrefoil designs in the head. 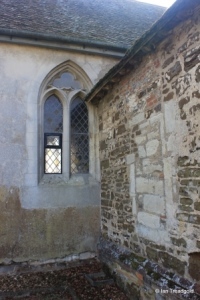 The south side of the chancel has windows to match those on the north although they are much closer together. 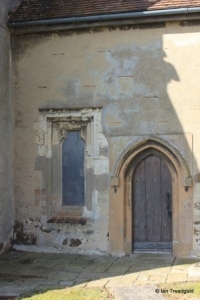 The priest’s door has a single light low-level window to its west. Page last changed 27/03/2015. Reformatted 21/02/2016.